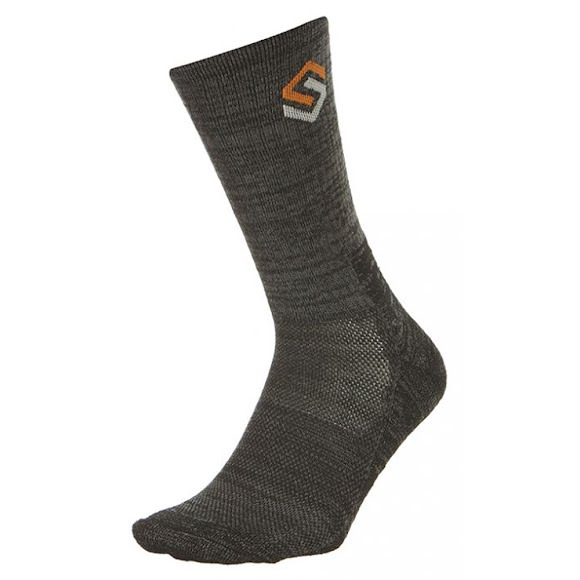 Whether you're going from the office to the gym or the course to the clubhouse, the Everyday Sock from ScentLok was designed for one thing, everyday life. Whether you&apos;re going from the office to the gym or the course to the clubhouse, the Everyday Sock from ScentLok was designed for one thing, everyday life. Fabric that keeps you cool and dry. Wicking technology draws sweat away from the body toward the outer surface of the fabric for quick evaporation. Using hydrophilic (water loving) and hydrophobic (water repelling) fibers, pathways are constructed within the fabric that help the moisture move. Silver technology permanently embedded into co-extruded fibers that control the growth and sustainability of bacteria in the harshest environments. This implementation method ensures the technology will not wash out and lasts the life of the garment.